Americana is a very popular style of decorating that is appealing to many homeowners because of its casual nature. You can’t scroll through Facebook, Instagram, or Pinterest without seeing a home inspired by one of the many forms of Americana décor! The kitchen is undoubtedly the heart of the home. 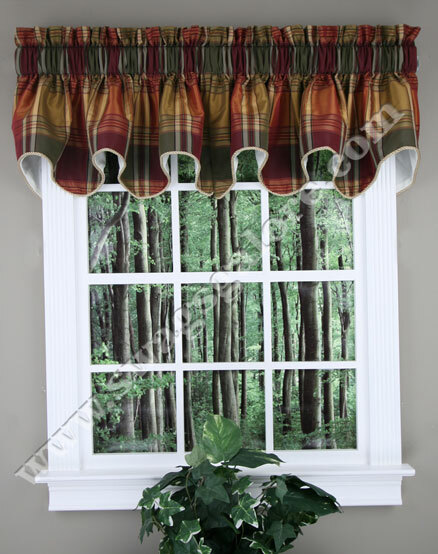 Therefore your windows should allow you to feel comfortable and at home while you toil away. Your window treatments need to complement the space and reflect your style, but at the same time they need to be durable and easy to clean. Kitchen windows are particularly neglected: we tend to take them for granted and don’t really think that there are things we can do to either improve the way they look or to make sure that the ones we have are the perfect fit for our kitchen. Summer evenings and weekends are perfect for throwing lavish dinner parties. Get inspiration on how to give your kitchen table settings the wow factor here. Vintage is modern. Although this sentence might sound like a paradox, it is actually true that today more and more people turn back to the past times in search for inspiration for their work today. If you must choose lighting fixtures, opt for types which allow you to balance function and design whilst maintaining a budget. This way, it satisfies your need for lighting without causing you to blow two-month’s grocery budget. Check out these lucky 7 ideas for inspiration and light up in style. Windows in the kitchen are always a pleasant feature since they allow lots of sunlight to enter the space where so much activity will take place. Window treatments are the cheapest and easiest way to add color, style and character to the kitchen. Following a few simple steps will make your kitchen the place to be for years to come. Not only will it be aesthetically pleasing, it’ll be safe and beautiful. When it comes to a dining table, people give more concerns as it serves great functions and relaxations. To select a dining table that makes a good style statement, one should better pay attention to creativity and comfort. 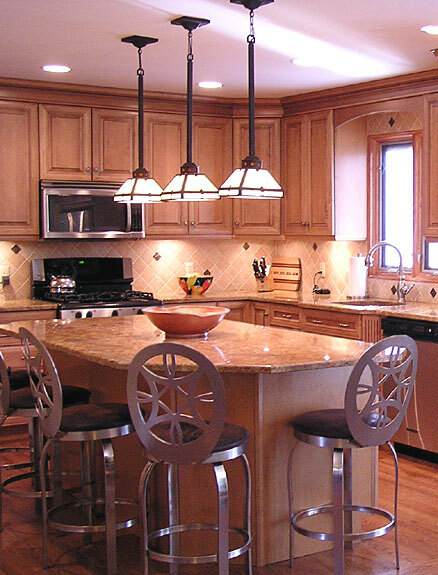 While doing the kitchen island lighting design you should keep in mind that there are essentially three kinds of kitchen lighting. One for ambience, another for work and the last one is for decorative purposes. The idea is to get all three types in such a blend that they can be individually controlled too yet not make you flip twenty switches to get a particular kind of light. 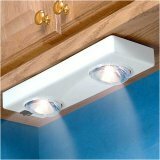 Kitchen lighting ideas. Learn about general, task and accent lighting and what kind of light fittings will best illuminate your kitchen. For example, there are track, recessed and pendant lights, each with a different purpose. Kitchen island lighting. Kitchen curtains buying tips. Learn what kind of curtains will make your kitchen more beautiful and inviting. 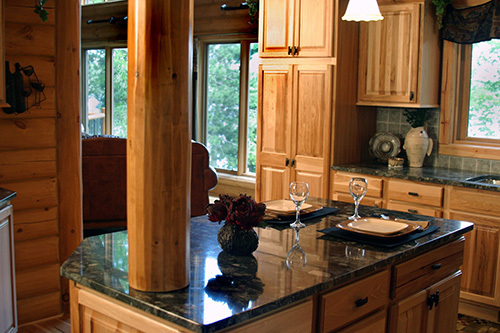 Whether they are sheer curtains, pleated curtains or just valances, they can greatly enhance the look of your kitchen. Learn how to hang kitchen curtains. Kitchen rugs buying tips. Learn what kind of rugs should you put on the kitchen floor for extra comfort, beauty and functionality. 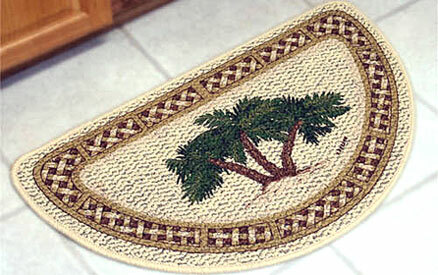 Types of material for kitchen mats, design ideas and also the benefits of using non-slip rug pads.